Included are 6 planner spreads (12 pages - left and right) in non editable PDF Format. Actual measurements to use with other brand products. You will receive a ZIP file with all 6 spreads. Download to your computer, unzip and print over and over. 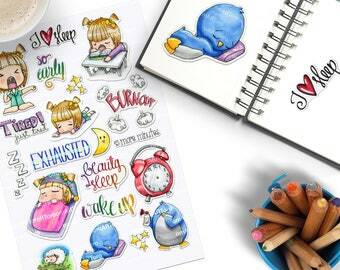 Check out my planner stickers files! 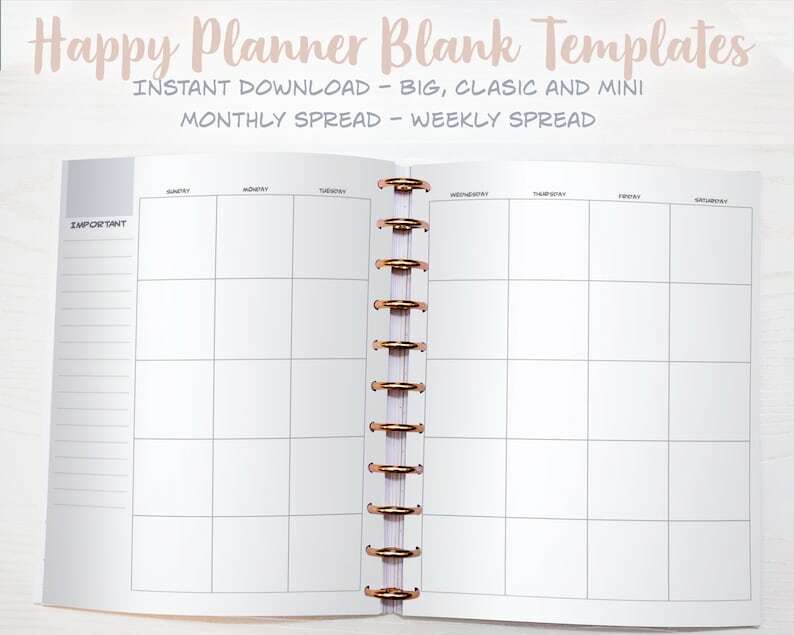 Check out www.awesomesvgs.com for free SVG cut files for planner pages to use if you don't have punches and own a cutting machine. Biceps and Bows Sticker Page, Printable Planner Stickers. Clipart and White outlines. Digital Download. Print Then Cut Ready. Don't Forget Your Settings Girl Image, Printable Sticker. Clipart and White outlines. Digital Download. Print Then Cut Ready. On The LineSticker Page, Printable Planner Stickers. Clipart and White outlines. Digital Download. Print Then Cut Ready. Spring Cleaning Sticker Page, Printable Planner Stickers. Clipart and White outlines. Digital Download. Print Then Cut Ready. Don't Forget Your Settings Curly Girl Image, Printable Sticker. Clipart and White outlines. Digital Download. Print Then Cut Ready.